Are You Missing a Tooth or Teeth? If you are missing a tooth or teeth, you don’t have to feel bad any more. Previously, dental technology was not as advanced as it is now, and you were limited in the options you had to replace a missing tooth or multiple teeth. 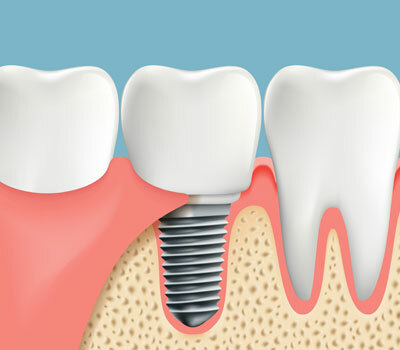 Today, the dental industry has come a long way and you have many options available to you, including dental implants. So long are the unattractive and bulky options for tooth replacement. Here at Wu Dental, we offer you a unique approach to tooth replacement and Dr. John Wu and his team will sit down with you and discuss your options and create a treatment plan that works for you. All of our dental treatment plans take into account your current oral health and any obstacles you may face such as trouble with chewing, your bite, or the way your smile looks. Dr. Wu and his associates have many years of experience in dental implants and restorations of many kinds. We work hard to make sure that you leave our office smiling from ear to ear. Wu Dental has affordable tooth replacement choices available to you. Call us at (650) 571-6666 for our San Mateo office or at (650) 718-5086 for our Mountain View office.